I’ve been constantly reminded of the need to understand our limits. As a diabetic, for example, I have to listen to what my body is telling me all the time. If my blood sugar is calling for me to tweak my schedule, I must listen and adapt. When you are aware of the signals, no matter your specific situation, you will know what to do—and that’s true whether you’re trying to pick up on the messages that your body is sending you or on the messages that an audience is sending you. 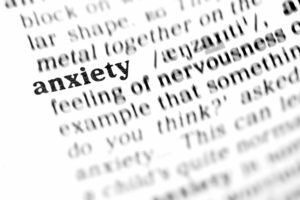 It is the awareness itself that plays a major role in reducing stress. 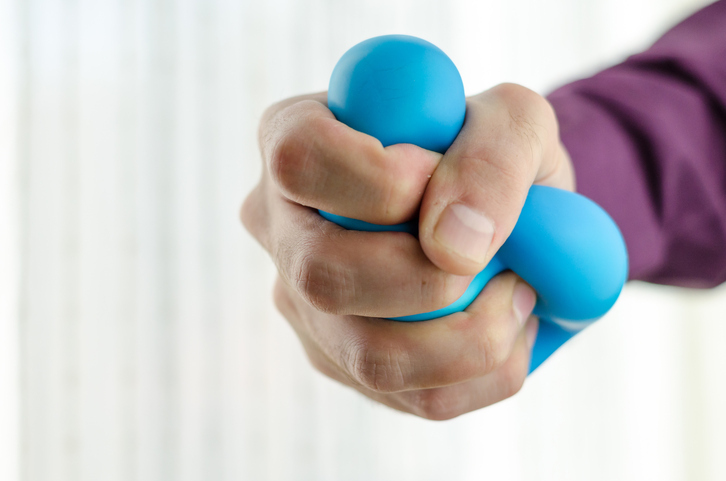 Improvisation and awareness has helped me manage stress so that I can take better care of myself – allowing me to better respond and plan my next step. The skills of improv clearly are a strength in times of crisis. As you listen, assess, and adapt to each scenario presented to you, you can more effectively overcome anything. And, as you do it more and more, you become confident that you are indeed able to deal with a situation. As a result, your confidence increases…while your stress decreases. We must do a lot of things that we don’t want to tackle. Those tasks become much harder if we cop a bad attitude. “I hate talking to people and networking” will defeat any chance of doing well at such activities. There is a huge difference between “I will do the best I can” and “This is going to fail.” If you adopt a better attitude, one that doesn’t broadcast defeat, you might actually find that you are doing pretty well. You can feel good about your accomplishment. Whether your stress results from a physical condition or something else, so much depends on your ability to perceive things positively. Either you win, or you let the stress win. Your choice. 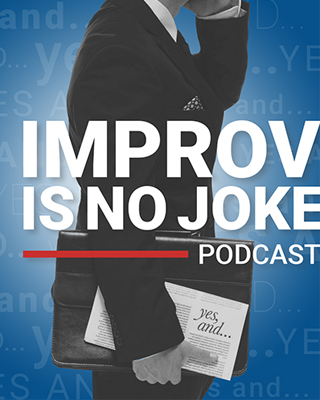 Learn more about how improv principles can improve your career by taking the Yes, And Challenge. 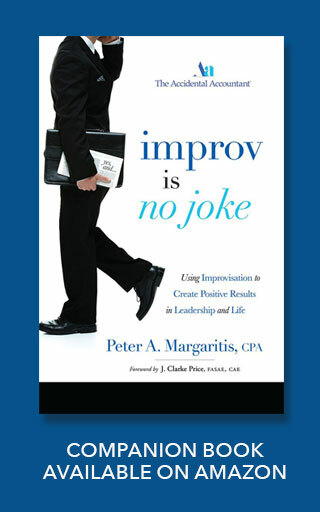 Sign-up at www.petermargaritis.com and share your experience on Twitter and Facebook using #YesAndChallenge. Ed Mendlowitz is a long-time CPA and a partner of prestigious Withum Smith+Brown. He’s also a member of many CPA societies and has taught financial and accounting courses for 11 years. He’s a firm believer in CPE and uses his CPE training opportunities to network with other CPA’s from around the world. He’s full of wisdom and insights and he shares many great nuggets with us today. If you would like to listen to the entire episode, you can click here, or you can download the episode on iTunes, Stitcher or Google Play. Ed considers himself the last of the “expert generalists.” He started his firm a long time ago and the only way he could grow was to never say “no” and to do anything that came his way. He grew his first practice from two people to fifty before finally merging with WSB years ago. WSB does something that many other accounting firms don’t do; they create unique, fun and fresh videos that they use to promote their brand on the Withum1 YouTube page. The videos started as a way to chronicle their yearly ‘state of the firm’ meetings and to excite the staff. This has also had an added benefit of being a recruiting tool for new talent just emerging from their accounting education. WSB does a lot to wine and dine great prospective employees, just like how many companies wine and dine prospective clients. Where many companies fall short though, is they start by doing anything they can to land the client, then once they’re on board, they eventually forget about these existing clients. Through his love of CPE, Ed attains over 100 credits per year. Most of this is through going to LIVE CPE events. He prefers these over online CPE because of the human interactions that come from these events. He meets about 40-50 new people at each event, often times inviting the lone person to join him for lunch or dinner. His networking skills have earned him referrals from all over the world. 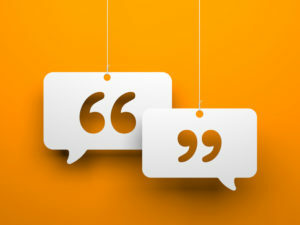 Personal connections have always been a part of Ed’s business, but many other accounting firms just don’t do a good job with it. They often think that doing the client’s taxes and meeting commitments is developing a relationship. It’s not. It’s when you reach out with a personal touch that really matters. When you’re in the neighborhood, stop by and say “hi.” This creates availability and clients love when their CPA is available. Creating a comfortable environment for your employees is another relational aspect to accounting that every company needs to work on. Within committees or groups, create an atmosphere where people can spitball ideas that can turn into something great. “Bad ideas lead to good ideas, no ideas lead to nothing.” Innovation and crazy ideas have led to many successes in every aspect of life, so don’t miss out on this opportunity within your own company. Ed truly delivered with some great nuggets of knowledge and insights into networking within the CPA community. You’ll hear from Ed again in the near future on the podcast, so stay tuned. We live in a “yes, but…” society. In a restaurant, you might hear the wait staff say, “Yes, but this is not my section,” or “Yes, but I’m getting ready to go on break.” Those two words are far from inspiring. In fact, they deflate and kill creativity. I think we should say Yes, and and say it more often. Here’s why. 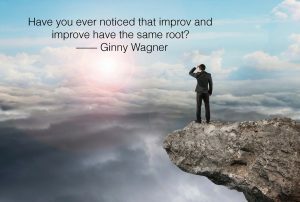 When I decided to attend an improvisation workshop many years ago, I had no idea the life altering concept I would encounter; the concept of not denying the other person’s reality. In improv, you have to go with whatever the other person says. You can add to it, but you can’t undo it. Once you deny it, you kill the scene. I probably got on quite a few actors’ nerves until it finally clicked one session. Until I got the hang of the “Yes, and” concept, I wasn’t able to continue the conversation. This applies to the business world as well. “Yes, and…” is all about finding a point of agreement and moving forward from there. It creates an environment of possibility instead of rejection. When you hear, “Yes, but…” it is deflating. Is it really a yes or is it a “No” in disguise? A “Yes, but…” will change the direction of a conversation by placing a big do not enter sign in the room. Too many of those and you’re left with nowhere to go. Which response continues the conversation by acknowledging the value others have on the team? 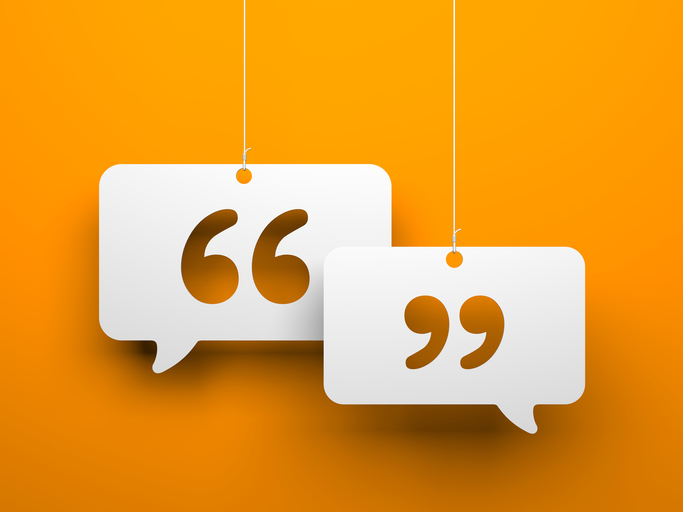 Want to know more about continuing the conversation in your workplace? Remember to sign up for the YES AND Challenge by visiting my website www.petermargaritis.com and scrolling down to the YES AND Challenge call to action box and click to sign up.